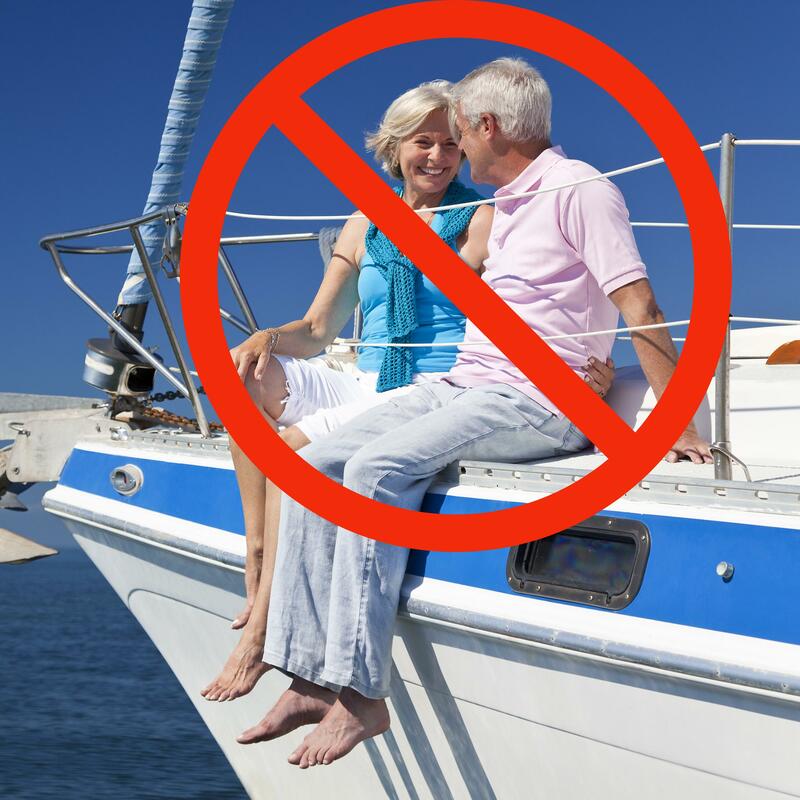 The number of our clients who are yachting in retirement is absolutely zero. When I thought of retirement, I always had a picture in my mind of a couple laughing together on the tee-box, about ready to begin their daily round of golf, hanging out with other friends who were doing the same thing. They were carefree, secure and at the pinnacle of their lives after many years of hard work, raising a family and overcoming life’s daily challenges. I didn’t create this image, but it was formed for me as a child reading golf magazines or watching commercials for retirement communities. After years of helping others identify their goals and dreams as a financial planner and advisor, I can tell you how many of these amazing people who aspired to have this retirement lifestyle when we met was exactly ZERO. So I began to look at the goal of retirement differently. At Walkner Condon Financial Advisors, we use a different term for retirement. We call it the Work-Optional Lifestyle. When identifying the time that our clients will stop trading their hours and hard work for a paycheck and have the freedom to do things with their time that are meaningful and fulfilling to their lives. While this takes financial security, and conversations often focus on the amount of money that needs to be accumulated, it is more important to focus on the amount that needs to be generated (and from what sources) in order to accomplish this important life goal. This income can come from a number of different sources: pensions, social security, rental property, retirement savings, and, in a growing number of situations, a part-time job. This can be out of necessity as some do not have enough saved up to meet their spending needs, or it can be an OPTIONAL source created because many people who reach traditional retirement goals or ages are opting to continue working. This is often in a part-time capacity, but it can help to ease the transition from a career spent helping others, the feeling of accomplishment or being a part of a team, and keeping the mind sharp. In fact, many of our clients who “retire” from their careers and are more than financially secure, have gone back to work in roles that are extremely fulfilling and enriching. They feel that they still have a lot to offer and it can be extremely helpful for younger people to have a mentor or experienced person to work with them as they advance in their careers. Helping financially secure individuals handle the “now what?” is a key part of what we do at Walkner Condon. How do you know if the Work-Optional Lifestyle is truly your goal versus the more traditional retirement picture I sketched at the start? For starters, have a conversation with us: by discussing your goals and dreams that you have been working towards, we can first determine if your current financial position has you on track for those goals. If your current financial picture lines up with a “work optional” lifestyle, we can position you for your next steps, helping financially secure individuals handle the “now what?” is a key part of what we do at Walkner Condon. If your financial situation isn’t in-line with a Work Optional Lifestyle, you won’t be able to accomplish your goals or dreams unless some changes are made. You could plan to work longer, adjust your spending goals and lifestyle in retirement to make it more affordable, save more money now while you are working toward your goal, or adjust the risk in your portfolio to potentially grow your assets faster (which does not always mean a greater return on those investments). Once you feel comfortable with your options and which ones need to be adjusted and implemented, it is time to put that plan into motion. Then you can decide once you have accomplished this goal whether you would like to “work by choice” rather than feel obligated to continue working or afraid to advance into the next phase or your life. Everyone with whom we have worked have been able to identify their unique goals and dreams. In fact, one of the great things about our clients is that their dreams are all different in some way. Indeed, one of my firm beliefs (and it is shared by all of us at Walkner Condon) is that we are similar in many ways, but have unique things that drive us and make us feel successful, happy and secure. Although the vision of retirement that I had burned into my head is the reality for some people, in our practice it has not played out as the reality for those we work with. As we continue to work together to identify the long-term goals in your life, and design a plan to help you financially get there, we look forward to helping you see if the Work-Optional Lifestyle is for you. Remember, if you choose not to work, at least you gave yourself that option!